Learn about our dealership serving Bristol, Connecticut. We are happy to help serve the Greater Hartford, CT area. Our professional sales staff is happy to help you find the perfect vehicle. We have all sorts of models, from the Cadillac Escalade to the Scion FR-S. Explore the new Toyota LE with its all-weather floor liner package and advanced features and more. Our finance department is happy to assist drivers in Bristol, Connecticut. You can apply for financing online and find the perfect lending option. We also have specially priced lease options for drivers who love driving the newest models from GMC, Cadillac, and Buick. Talk to our finance department about our current selection of financing options and ask about our current rates. We will walk you through the application process. Call now to learn from our finance department in Bristol, CT. Schedule a test drive in Bristol, Connecticut. 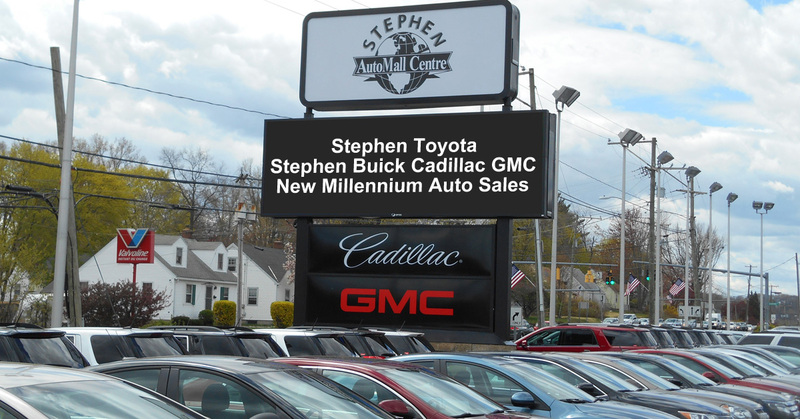 We offer a large selection of sedans, SUVs, and pickup trucks. Test drive our vehicles and learn about the incredible options our cars have. Explore the wonderful technology available inside the new GMC Terrain and talk to our team about financing.